Debra's phenomenally successful book GMC: GOAL, MOTIVATION AND CONFLICT began life as a popular interactive workshop. 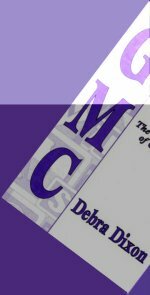 In self-defense and for the sake of variety, Debra developed a variety of programs on the craft and business of writing, but requests for GMC never end. That's a good thing because GMC is and always will be near and dear to Debra's heart. The top full-day workshop request is GMC with Hero's Journey, affectionately called "Book In A Day" because the workshop provides all the tools a writer needs to pull a book together. Various workshops may be combined for full-day or weekend presentations. Programs are flexible and tailored to the skill level and time constraints of the host group. Programs will work effectively for beginning and advanced groups, including published authors. For more information, speaker fee/expenses, and other details, please contact Debra.